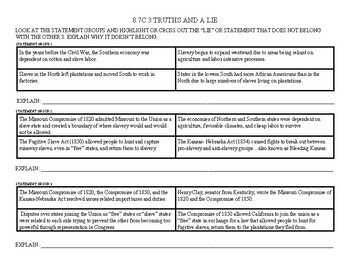 3 Truths and a Lie activities help students activate prior knowledge and gain additional facts, perspectives, and truths regarding a particular topic. These activities are purposefully short and can be used as "bell ringers", "exit tickets" or other CFU's solo or in pairs. These activities are designed to help students answer the STAAR questions that they are aligned to.